A new survey conducted in France, Germany and the UK to assess readiness for the phase down of hydrofluorocarbons (HFCs) has concluded that a startling 40 per cent of retail professionals are not aware of the impending significant changes. The EU F-Gas Regulation, in effect since 2015, decrees a swift phase-down in the use of HFCs, a family of greenhouse gases hundreds to thousands of times more powerful than carbon dioxide (CO2) which are commonly used in refrigeration, air-conditioning, fire protection, aerosols and foams. As of January next year, market supplies of HFCs will be slashed by about 48 per cent in real terms, a move expected to result in drastic price hikes and supply shortages for those yet to adopt climate-friendly alternatives. 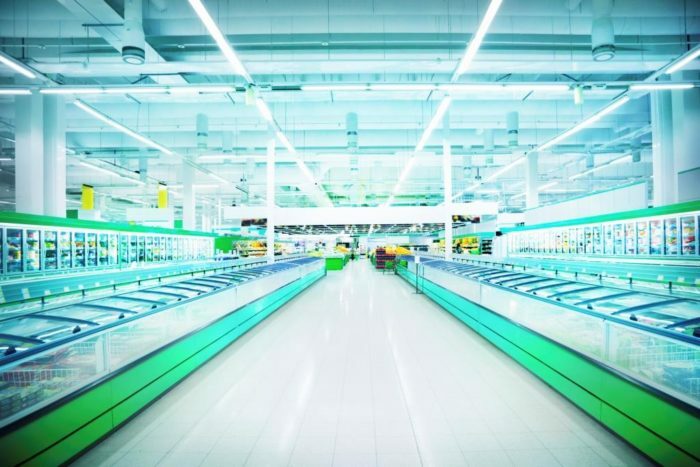 The survey by Emerson and ComRes, which polled 140 professionals in the European retail sector, also found that 81 per cent see the phase-down as positive and 56 per cent have started the move to natural refrigerants. EIA Climate Campaigner Sophie Geoghegan said: “With the 37 per cent (48 per cent below the baseline in real terms) cut in HFC availability swiftly approaching, this lack of awareness is concerning. The price of R404A (the most commonly used high GWP refrigerant in supermarkets) rose by 62 per cent in the first quarter of 2017 alone, while prices for R134a and R407A increased by 32 per cent in the same time period. Of those who have made the switch and so protected themselves from these price hikes, 38 per cent have opted for CO2 systems. 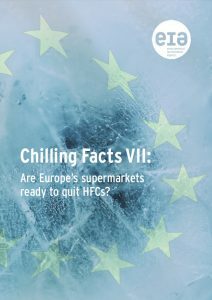 Since 2009, EIA’s game-changing Chilling Facts series of reports has been pushing for and documenting the uptake of natural refrigerants in the supermarket sector. • Read the latest report in the series, Chilling Facts VII, here.